The map was consulted in an attempt to find the best place to base ourselves for our Bank Holiday weekend in Wales – Porthmadog was picked. This turned out to be a great place and base to explore this corner of Wales. 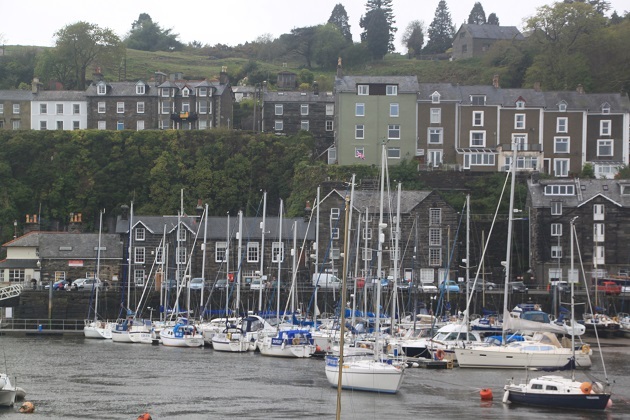 A little seaside town, it grew up as a slate shipping port exporting slate from nearby Blaenau Ffestiniog. They describe it as the “gateway to the Llyn Peninsula”, we loved the unspoiled coastline and views of the wildflower covered hills. We were a bit last minute with our booking and organising this trip, accommodation was proving to be a bit tricky to find but they did have availability at the Travelodge. In the past I have turned my nose up at this establishment (without trying it) but decided to give it a go. We drove through the town, spotted a few shops, a nice harbour and a couple of restaurants. The Travelodge was slightly out of the centre of town – a ten minute walk – but we didn’t mind this and it was easy going. The hotel was actually fine, the receptionist and all staff were exceptionally friendly and helpful which always makes for a good start. We checked into our room on the first floor and were suprised at how large it was. A big, comfortable double bed and sofa bed for Son but we did need to put the heating on when we arrived. Things soon warmed up nicely and we availed of the tea and coffee making facilities. A big bathroom with bath and shower well stocked with white fluffy towels – I was impressed. Son announced he had a sore throat as soon as we arrived in the room and was just a couple of degrees under the weather the whole time. We decided on our first evening because of that not to venture out to eat in a restaurant. 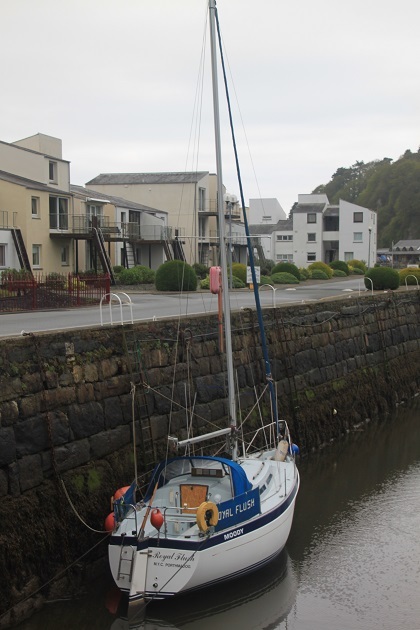 Instead we drove into Porthmadog and found a fish and chip shop on the main street – Lily’s – we took the food back to the car and ate there. Very tasty and nice, we then found a supermarket and stocked up on some medicine for Son. No breakfast facilities at the Travelodge but there was an Aldi and Lidl right next door. We bought juice, fruit and bread and ate in our room. There was a cafe nearby too which served cheap and reasonable looking breakfasts, not open on Sundays though and we weren’t hungry enough on Monday so didn’t try it out. On our second evening in the town we walked back from the hotel towards the harbour and had dinner in the Ship. Recommended by the hotel receptionist, it was extremely busy at 7pm on a Sunday and we got the last table. Warnings from the waitress about a long wait for the food – it actually didn’t seem too bad, we sipped wine and enjoyed the buzzing atmosphere. A hearty and wholesome pub dinner was just the perfect way to end a cold and wet day. What a shame about the weather, it’s a long time since I was there, did you get an opportunity to ride on the Ffestiniog railway? Travelodges’s are much improved these days and we use them when we want somewhere we’ll only be using for sleeping in and not needing smarter facilities – we find them much preferable than some dreary hotels. 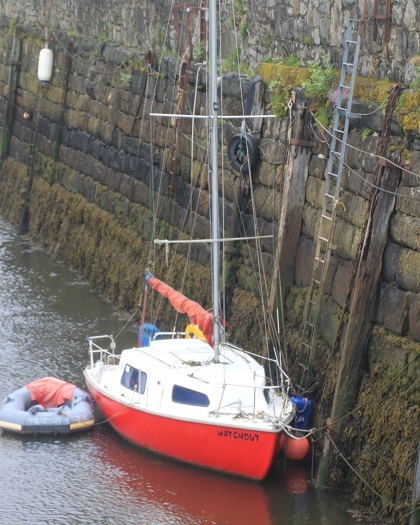 Lovely photos of the harbour and boats Joy. We did ride the railway the next day – post coming up – but the weather just got worse!! 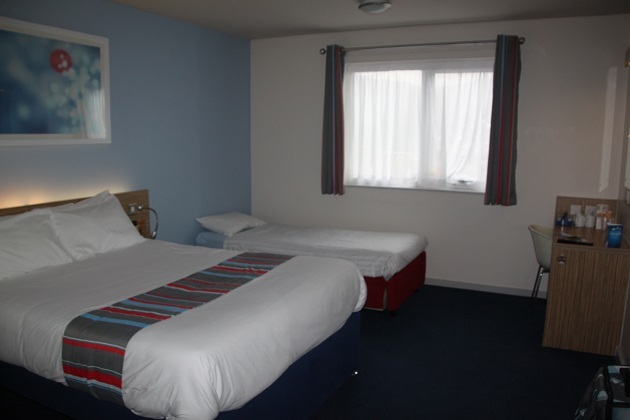 I was so impressed with the Travelodge – like you say just for a couple of nights when we weren’t planning on spending any time except sleeping there, it was incredible value and actually quite comfortable. I would definitely use them in future, you know exactly what to expect – like you say far better than some dreary hotels!! 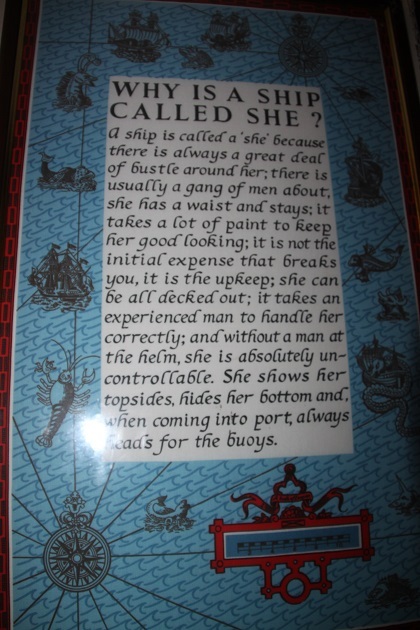 Ok, now I know why a ship is a she:) funny! I know – good isn’t it!! I like that sign of why a ship is a she!!! Haha, it’s the upkeep that breaks you 😉 Great phtos of boats! My son found this in the gents’ toilets of the pub called The Ship and couldn’t resist a photo – it’s very funny! It’s a cute and quaint place. It looks like a charming town in spite of the drizzle but too bad your son felt under the weather. So, is a ship really a she for that reason? Not sure but it makes for a good read doesn’t it!! The little town was very quaint, in sunshine it would have been utterly gorgeous. Sorry son was under the weather, but you guys seem to make the best of every adventure. I loved finding why a ship is a “she”! So funny! I know, I love the ship definition too – very funny and clever!! Son was a trooper that weekend, despite the rain and a bad throat (which turned worse when we got home and needed a doctor’s appointment but all is well now) and we did have a great time. Nothing wrong with Travelodges…. it’s a shame you had rotten weather, because Porthmadog looks very pretty. I’m a convert now Susan to Travelodges – was impressed with Premier Inns but equally with these – we’ll be back!! You are preparing me nicely for my visit there next week. Hopefully you will be blessed with better weather!! Oh I hope so, I am staying in a caravan. But I can’t complain, I have just had five sunny days in Ireland. Love the little towns in Wales. Have you been to Llandudnoe? Yes, we love it there especially the trip up in the funicular to the top of the Great Orme. Have you done that? No, didn’t have time for that as were resting up before going up to walk end to end on Hadrians wall. So true George, fish and chips go a long way to sorting out many a problem!! Just sorting out my pictures of our train ride Shirley which sounds like the same one or similar – hope you had better weather though! We did the railway the next day and really enjoyed it too Rosemary – despite more atrocious weather!! 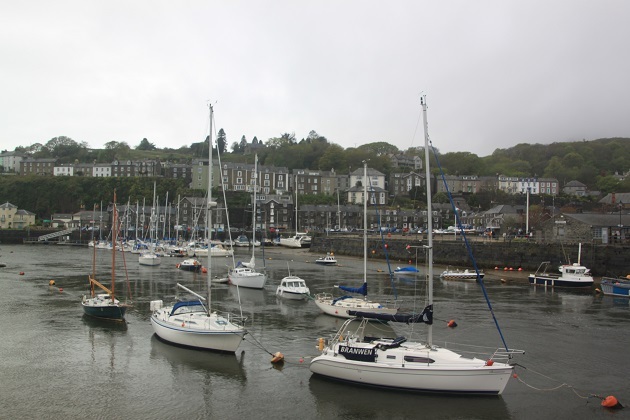 Porthmadog was so quaint and lovely, we really enjoyed staying there and I bet it hasn’t changed much since your family holidays. Hope your weekend is going well too! We just stayed at a Travelodge at the other end of the country and it looked pretty much identical, but that’s always the strength of a good brand, you know what to expect and that is a comfort in its own way. Absolutely, knowing what you are getting is a good thing definitely, we will be using them again. Joy, I am sorry your son was not feeling well for your trip and for the rain. Loved the cute sign! I always enjoy your travels! Thank you Pam!! Happy Sunday to you. Love seaside towns. Sorry your son wasn’t feeling well, but dinner in a ship sounds delightful! It was – the perfect place to eat at the seaside!! So nice to see this! I’m hoping to visit from Conwy later this year. I was thinking of staying there, but decided that using the narrow gauge trains as actual transport, with luggage, in August might not be the best idea. Could be very tricky – not too much space as you can see from the pictures either in the carriages or the passageways, add to that August crowds and it might be a nightmare. It is lovely though, hopefully you get to ride it in better weather!